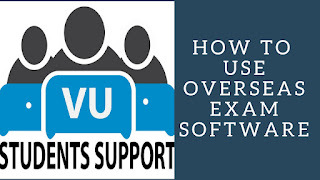 VU exam software is a software used for attempting exam it provides a user friendly interface for students to attempt exam easily. Overseas exam software is for those students who live outside Pakistan. I provided a easy tutorial to tell overseas students how to download exam software.